Heber has been awarded ISO 9001:2015 certification- great proof of Heber’s commitment to providing quality products and services to their customers, worldwide. 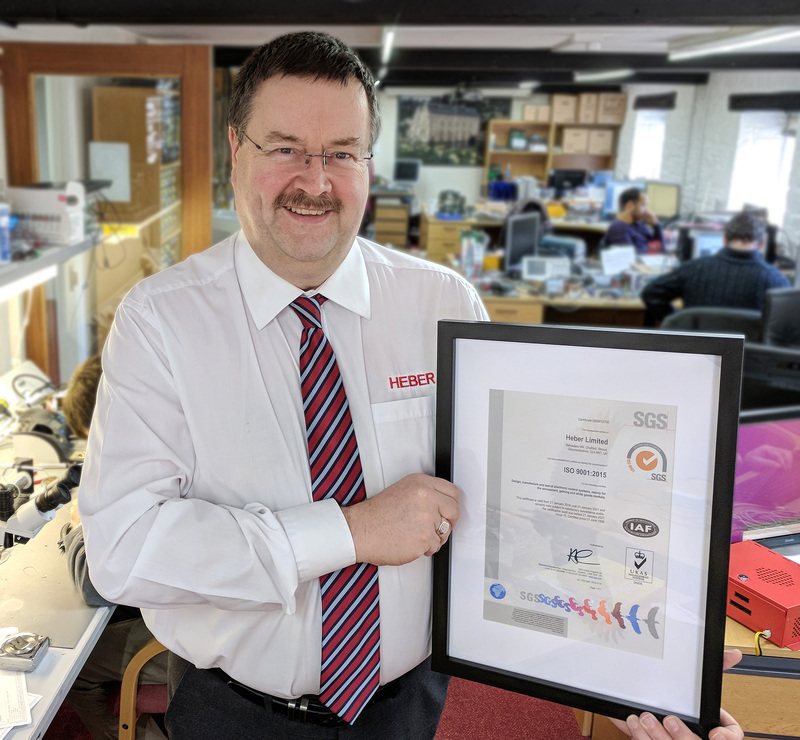 Following a recent audit, Gloucestershire based Heber- providers of measurement, interface and control technology- has been awarded ISO 9001:2015 certification. The award shows Heber’s commitment to providing high quality products and services which is testament to the hard work and dedication of the Heber team. The certification also demonstrates Heber’s effective quality management system in operation along with the ability to provide consistent quality products and services that meet customer and applicable statutory and regulatory requirements. Heber’s Managing Director, Les Ashton-Smith confirms, “I am very proud of the Heber team as this certification shows their attention to detail and hard-working approach to providing customers with a great quality service. It’s further proof that Heber is serious about supporting UK electronic design innovations”.